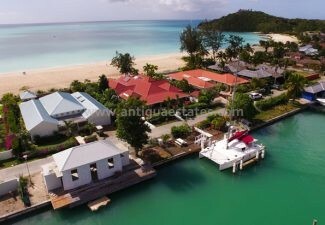 Antigua Estates fully understand that quality insurance is of paramount importance, whether it is insurance for your villa, if its beach property, inland or a marina villa. 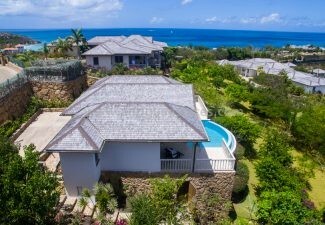 Here in Antigua we have the traditional hurricane season each year from August through to approximately November and if you have adequate insurance you can rest assured that your property would always be protected financially in the case of damage by a hurricane. However quality Buildings, Contents and All risks insurance can offer so much more peace of mind to other eventualities especially if you rent out your villa. We have chosen to be affiliated with Bryson’s Insurance Agency and Caribbean Alliance, both of which offer excellent cover and benefits, they also offer Motor insurance. Bryson’s is a household name in Antigua and Barbuda. The company was established in 1835, and offers a wide range of insurance and shipping services. The company is also the Lloyds agent for Antigua and Montserrat since 1876 providing surveys on damaged hull and cargo as well as pre-shipment and discharge surveys. Bryson’s is recognized as one of the leading insurance and risk management companies in Antigua & Barbuda. Through their team of highly qualified and experienced staff they are able to satisfy all your insurance requirements. Bryson’s Insurance Agency has been appointed to provide insurance coverage for some of the island’s major commercial entities. Bryson’s offer coverage on all classes of insurance through its principal insurance carrier NAGICO and through a net work of insurance providers in the UK and USA. Bryson’s has an excellent record in claims settlement and service and was the only company to open one day after the passage of the disastrous hurricanes in 1995 and 1998. Caribbean Alliance Assurance Co Ltd is the largest general insurance company in Antigua and the only regional insurance company covering the Eastern and Northwestern Caribbean with its Head Office based in St. John’s, Antigua. The company was formed as a regional subsidiary company of the Sun Alliance Insurance Group, UK, as part of their strategy with 5 subsidiary companies covering the Caribbean. Founding shareholders were Sun Alliance Insurance Group 75% and Mr. E. J. Letby 25%. Sun Alliance (then Royal and Sun Alliance) decided to withdraw from the Caribbean and all five subsidiary companies were sold. In October 2001 Mr. E. J. Letby purchased the 75% shareholding from the Sun Alliance and still retains 100% of the shares in Caribbean Alliance Insurance Co. Ltd. The company is an independent insurance company without ties to any other Institution. The company was formed in 1988 with the Head Office in Antigua representing Insurance agencies in St.Kitts, Montserrat, St Lucia, Barbados, St. Vincent and Grenada. They have a long history in the region and some Agencies have been in business for over one hundred years. 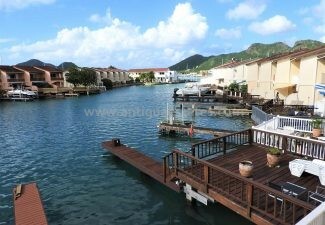 Caribbean Alliance specialises in property and casualty business including marine insurance. Their extensive Reinsurance programme is second to none in the Caribbean, placed with major Reinsurance Companies with minimum ratings of A by the international rating agencies. August 2013 for sole occupancy by Caribbean Alliance staff. Reliable Claim Settlements, Caribbean Alliance pride themselves on their claims paying ability; it is their strong reputation that has fuelled their business growth. 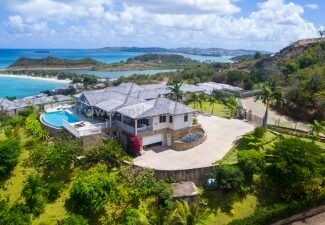 Contact lisa@antiguaestates.com for a quote today or fill in the enquiry form below!